15-year-old Sarah and her mother, Ann, initially presented in crisis. Sarah’s boyfriend had broken-up with her and she had become highly distressed and dysregulated in response; lashing out verbally and physically at her mother, refusing school, and threatening suicide. Sarah’s mother and father were overwhelmed and had both taken leave from work to stay at home with Sarah due to concerns about her safety. Sarah attended the hospital on several occasions for psychiatric review and police and paramedic attendance had been required at the family home during episodes of heightened distress, intense conflict, and aggression. The family reported that previous psychiatric and psychological intervention had not been helpful and that Sarah had been reluctant to engage. The dyad was referred to me by a colleague for family-based Schema Therapy. On intake it was reported that Sarah had a history of severe anxiety, depression, low self-esteem, anorexia, dysregulated anger, impulsivity, self-harm and suicidal ideation. She had a hospital admission some months earlier due to increased suicidal ideation following the introduction of an antidepressant. Sarah was intelligent, perceptive, and highly sensitive. She had a strong sense of social justice, liked live music and fashion, and was a talented artist. Ann was a devoted mother who had also taken on the full-time care of her brother’s children before Sarah and her sister were born. Sarah’s mother and father had a stable marriage and a successful family business. Sarah’s father was not directly involved in therapy but was supportive of Sarah and Ann’s attendance. Sarah’s parents sought therapy to address Sarah’s problematic behavior and emotional reactivity -or, as Sarah put it, being “too emotional”. 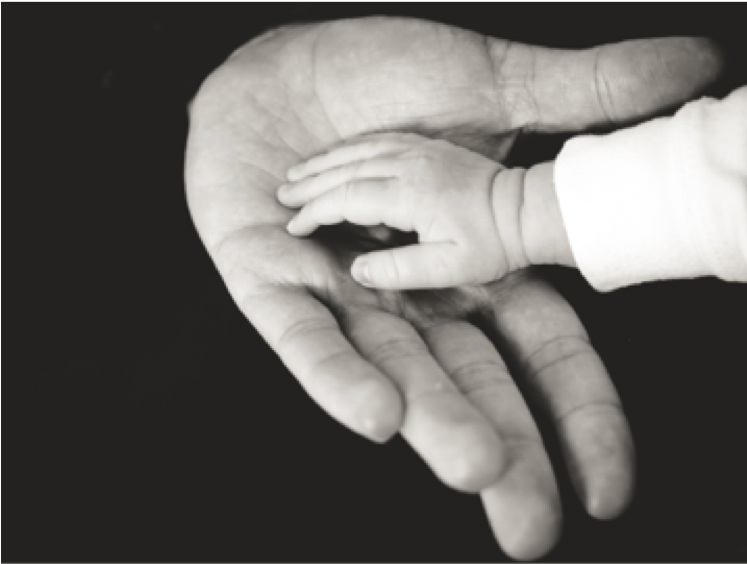 The initial phase of treatment included an assessment of the parent-child attachment relationship (both the observable interaction patterns and subjective perceptions). During this process Ann described how she had experienced Sarah as a “difficult” and “terrible” baby who was “highly strung” and difficult to soothe, unlike Sarah’s younger sister who was described as “very easy going”. Sarah experienced intense separation anxiety as an infant and would become highly distressed whenever she was not near her mother. Ann was concerned about Sarah’s clinginess and encouraged her to be more independent. Sarah experienced sleep difficulties throughout childhood which seemed to be related to her separation anxiety and need for closeness (e.g., Sarah was able to sleep when close to her mother but not when she was in her own room). Ann was frustrated by Sarah’s emotional reactivity and when her efforts to settle Sarah were unsuccessful Ann would sometimes isolate Sarah in a room by herself. This response would escalate Sarah’s distress and she would make frantic attempts to get back to her mother (e.g., throwing herself against the door). Ann recalled how her own mother had been disapproving of Sarah’s behavior in the early years and we considered how this had contributed to Ann’s perception of Sarah being an abnormal child, as well as to her concerns about being judged as an ineffective mother. Initially, Sarah found it difficult to put words to her feelings. It was easier for her to express herself through her art. In one picture Sarah had drawn herself sitting down hugging her folded legs in front of her for comfort with a tall tower of blocks separating her from the world, people, and love. Above her head a squiggle represented her tangled and confusing internal world. At the bottom of the picture there was a numeric scale reading 10,000 km representing Sarah’s experience of emotional isolation. In another picture Sarah drew her anger as a large bubble filled with swear words and more tangled squiggles. Sarah was drawn inside the bubble while lines coming out from the bubble towards her mother, x-boyfriend, and family, demonstrated the relational context from which her anger emerged. Imagery for assessment and reflective dialogues focused on the moment-to-moment interactions between Sarah and Ann led to a deeper understanding of Sarah’s inner world. Sarah had experienced her mother as dismissive and rejecting. She recalled being “pushed” into situations she didn’t feel ready for and being flooded with anxiety. Sarah didn’t feel nurtured, loved, or wanted by her parents and she experienced a deep sense of defectiveness and unlovability. Sarah described herself as “difficult”, “sensitive”, “too emotional”, “high maintenance”, “inferior”, “unlovable”, “unwanted”, and “not normal”. She saw herself as “a burden” and believed that her family would be better off if she died. 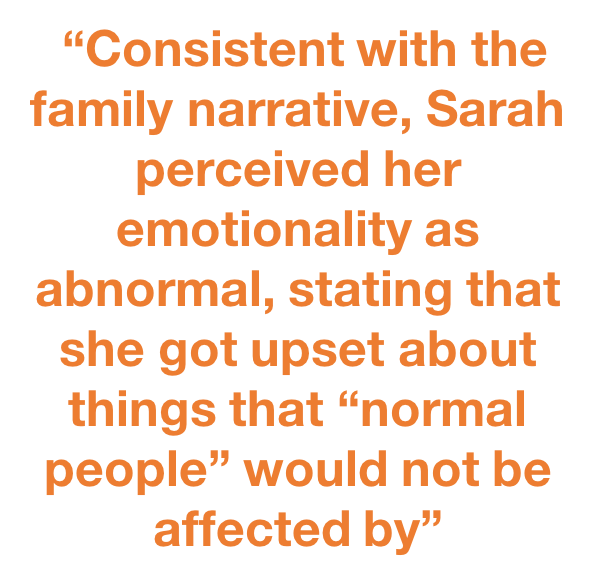 Consistent with the family narrative, Sarah perceived her emotionality as abnormal, stating that she got upset about things that “normal people” would not be affected by. It was clear that this contributed to Sarah’s deep sense of defectiveness. During the assessment phase Ann and Sarah’s predominant negative interaction pattern was mapped. The cycle would typically start with Sarah expressing negative emotion and turning to Ann (for regulation). Ann, feeling irritated or confused, would initially respond by either trying to solve the problem for Sarah or by minimizing Sarah’s feelings. For example, Ann would describe the activating event as “slight” or “nothing” and state that Sarah was “overreacting”. These responses escalated Sarah’s distress and lead her to become resistant and angry with her mother. When Ann’s initial attempts to reduce Sarah’s emotions were ineffective, she (or Ann’s father) could become impatient, angry, and/or critical of Sarah. It was at this point in the interaction that Sarah could become physically aggressive towards her mother or threaten self-harm. Out of fear, Ann would often respond to Sarah’s aggression by “giving in” and taking some action to remove or modify the triggering event. At times this could reduce Sarah’s distress and, at other times, things would continue to escalate to the point of crisis. Ann was aware that her responses were inconsistent and influenced by her own stress, confusion, and lack of confidence in knowing what to do when Sarah was distressed. Sarah’s uncertainty about how her mother would respond heightened her anxiety. Through the process of tracking and reflecting on the dyads interaction patterns, it became clear that Sarah’s aggressive episodes were being triggered in the context of the parent-child relationship. My preliminary formulation was that Sarah had an anxious attachment with her mother. Ann’s difficulty understanding Sarah’s inner world was related to her own attachment history in which she had experienced her own parents as dismissive of attachment and focused more on outward appearances and performance than internal experiences. It was also clear that there were differences between Ann and Sarah’s temperament, with Sarah being more emotionally sensitive than Ann. Sarah was a high needs baby who Ann had experienced as difficult to parent. 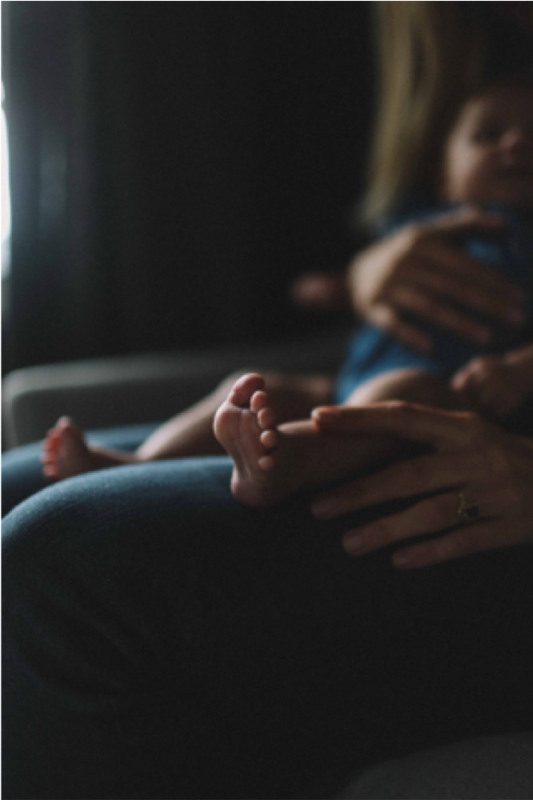 The mismatch between the sensitivity Sarah needed and the inconsistent responsiveness she received resulted in the development of an anxious attachment with her mother. Viewed through an attachment lens, Sarah’s high distress and behavioural dysregulation was a response to the lack of emotional safety, conditional acceptance, and intense anxiety she experienced in her relationships. While Ann had been consistently and reliably there throughout Sarah’s life, Sarah had not experienced her mother as consistently emotionally available to meet her needs for comfort and regulation. Because of this, Sarah’s capacity for reflective functioning and emotion regulation was significantly underdeveloped. Additionally, because Sarah did not experience her mother as a safe-haven able to regulate her emotions, her attachment system was almost constantly activated. This led to her being chronically anxious and unable to experience the security she needed to confidently move away from her mother to explore her world. This helped us to understand Sarah’s long history of separation anxiety. Sarah had developed a number of early maladaptive schemas, including emotional deprivation, abandonment, defectiveness, social isolation, and failure. Sarah’s schemas were typically activated by experiences of misattunement, criticism, perceived rejection, or emotional distance within her relationships. Sarah and Ann attended weekly sessions for the first year of therapy and fortnightly sessions in the second and third years. The dyad attended around 90 joint and individual sessions over a period of 3 ½ years with additional maintenance sessions on an as-needed basis. Therapy utilized a range of Schema Therapy based cognitive, experiential, and behavioural interventions with attachment-focused dialogues to address the main themes identified in the assessment. The therapeutic stance was one of openness, transparency, love, unconditional acceptance, curiosity, playfulness, and empathy. The initial phase of therapy was focused on my developing a strong alliance with Ann. It was important for Ann to experience me as a safe haven/ secure base so that -together- we could provide a safe haven/ secure base for Sarah. Once safety had been established, we began to explore and understand Ann’s own attachment history and the ways it influenced how she experienced Sarah. Through the process of reflecting on her own childhood, Ann became aware of how she had learnt from an early age that emotions and attachment needs made her parents uncomfortable and were met with disapproval or rejection (e.g., “I am a product of my own environment, my mother was very matter-of-fact”). Ann reflected on how she had inherited a dismissive state of mind regarding attachment that was now blocking her from meeting Sarah’s attachment needs. As Ann became more emotionally connected with her own childhood emotional deprivation and memories of being invalidated by her own mother, strong feelings of anxiety, sadness, and grief emerged. With this shift in state of mind and the growing awareness of the needs of her own “little girl side”, Ann became increasingly aware of the lack of emotional support in her own relationships (e.g., “there is no-one helping me”). She experienced a sense of unfairness that “everything was about Sarah’s feelings”. During this phase of therapy (from session 30) reparenting included providing more support to Ann in the form of additional individual sessions, text messages, phone calls, and emails between sessions. We also worked on strengthening Ann’s relationships; helping her to be clearer in expressing her own needs and setting clearer boundaries. Having connected with her own vulnerability, Ann became more sensitive and responsive to Sarah’s emotions and needs and began to trust that emotions were safe. Ann also became more aware that when she was vulnerable or stressed, it was easier for her to get out-of-sync with Sarah and slip back into old interaction patterns that triggered conflict. Time out breaks followed by repair during times of stress helped to reduce the likelihood of escalated conflict between Ann and Sarah during this phase of therapy. The reparenting relationship with Sarah involved demonstrating my unconditional acceptance and complete trust in her feelings and needs. I explicitly expressed my genuine delight in Sarah’s spirited and sensitive nature and shared how my own temperament was more sensitive than my parents’. Sarah experienced my sensitivity and understanding as “relief” and the growing security in our relationship provided a transitional “safe haven” while the security in her relationship with Ann continued to grow. Sarah’s mother and father became more intentional and explicit in the ways they expressed their love and appreciation for Sarah, including writing her lists of things they liked most about her. As Sarah began to feel safer in her relationship with Ann, the dyad was able to begin the important work of processing the attachment injuries that had occurred within their relationship. Sarah became more aware of her needs and her confidence in being able to express her feelings within her relationships grew. Over time, Ann’s ability to accept a greater range of Sarah thoughts, feelings, and reactions increased and she became more able to identify the emotional experience and needs underlying Sarah’s behaviours. By session fifty, Sarah was experiencing less frequent and less intense schema activation and her mood was stable. Conflict between Sarah and her parents had significantly reduced and aggressive episodes were no longer occurring. There was more stability and harmony within the family. Sarah was feeling more secure within herself as a result of an increased sense of security within her relationships. She no longer viewed herself (as) negatively and had a more balanced self-concept. Sarah demonstrated significantly reduced impulsivity and a greater ability to regulate her emotions. Towards the end of the active phase of therapy Sarah’s boyfriend of two years broke up with her and, despite being distressed, Sarah was not destabilized by the break-up. Through our work she came to see that the relationship ended because of a mismatch in personality and not personal defectiveness or unlovability on her part. Sarah successfully completed her final year of high school and was accepted into art college the following year. She has won a number of awards for her art and has commenced and maintained part-time work. Sarah and Ann continue to attend sessions on an as needed basis. The shifts and transformations experienced in Ann and Sarah’s relationship were highlighted by a heartfelt interaction between Ann and Sarah some time during the second year of therapy when Ann said, “You are a beautiful swan. 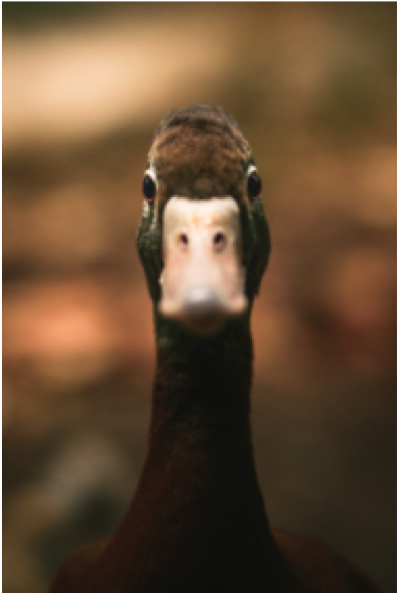 Me and Dad are ducks. We didn’t know how to raise a swan”.